So, you’ve got it bad for a Cancer Woman, huh? This isn’t surprising, after all, she’s highly romantic, loving, and her ability to nurture would appeal to anyone who loves to be coddled, spoiled, and loved! You’ll find the intensity of the Cancer Woman deep, especially in the realms of emotion, love, and passion. Her love runs deep. Her passions run far deeper than you might ever imagine, so you best brace yourself for their intensity. At the same time, you may find her a hard shell to crack. If you want to impress her, you’re going to have to step up your game to make her free herself from her protective shell. How can you impress the Cancer Woman? With the motto of “I Feel,” you’ll know she’s all about emotions and feelings. You’ll need to give her some good vibes if you are going to gain her attention. Show her you are genuine and that you can provide her with emotional security, and you are well on your way to gaining her eye so to speak. So, do you think you can break through the shell and win the heart of a Cancer woman? The Moon governs the Cancer female, and its planetary influence is oh so clearly identifiable in the behaviors of your lady friend. You can’t help but be drawn to her, as she has a mysterious and intuitive nature. Empathetic, soft, gentle, yet strong, independent, and a born leader, she is the epitome of lunar energies and their dualistic vibrations. Since the Moon has such an influence on bodies of water, when it comes to the Cancer Woman the Moon, she is a “go with the flow” kind of lady. When the moon has a positive influence on a Cancer female, she’s one that seems to have ancient wisdom beyond her years. Her smarts give her insightful, innovative, and original solutions to any challenges she might face. You will find the Moon-ruled Cancer is one who is extremely loving. She’s a good friend, sibling, child, partner, or spouse, and she loves being affectionate. You’ll also find she keeps the most vulnerable parts of herself protected, perhaps even walled off, from the outside world. 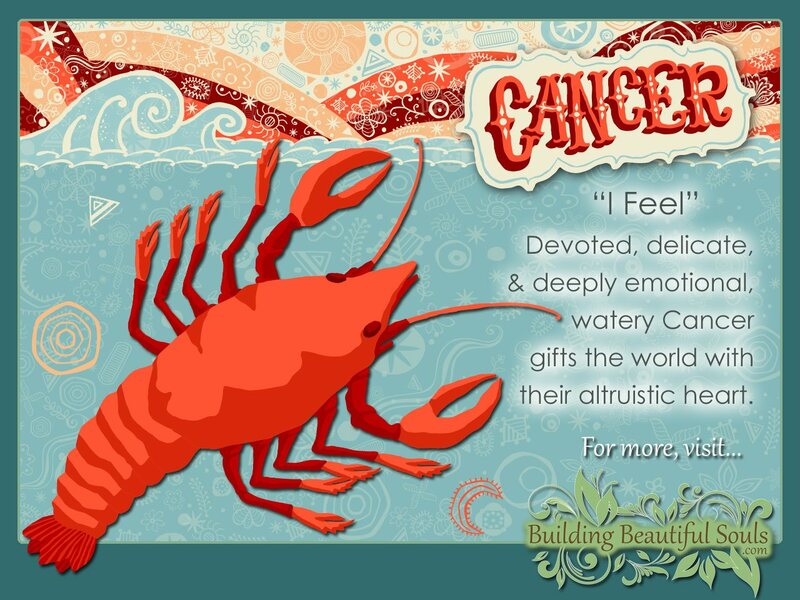 This is not unusual for the Moon-ruled since the Cancer sign also corresponds to the Crab. It is likely she wears a metaphorical “suit of armor” to keep her soft, emotionally vulnerable interior protected from anything that might harm her, unintentionally or otherwise. Her memory is exceptional, and this too can be a good thing. It allows her to have fond lasting memories, or it can prove a negative is she is one that ends up having trouble letting go of bothersome, hurtful memories as such thoughts can end up haunting her. With the Moon governing this female, she may be prone to explainable mood swings. She loves with all of her being and gives all of herself to those she loves. Sometimes she’ll take on the role of a lover but then naturally shift to the role of “mother” simply because it is within her deep nature to nurture others. Of course, there is a clear separation between the role of lover and “mother” in her mind. But, but should the relationship slip into a day to day routine where romance becomes a secondary concern, she’ll attempt to nurture through a motherly role and then eventually wonder where the romance has gone. Thus, keeping the romantic element alive in a relationship with a Cancer female is important to ensure the relationship’s lasting survival beyond day-to-day routine interactions. You will find the Cancer female is unselfish with her love. She continues to give of herself until the point where it seems like there is nothing more to give. She is the type of female who needs reminding that it is not at all selfish to focus on the self and, in fact, it is periodically necessary to refresh the self otherwise there’s nothing left to give to others. Her unselfish nature has most assuredly got her in trouble in a prior relationship too. There are those who would take advantage of her deep kindness and need to nurture. She will, therefore, need a continual reminder of your loyalty and trustworthiness as her past may haunt her heart in a way that makes her emotionally nervous and fearful of intense intimacy. Of course, if you break through all barriers and she feels she can trust you, you’ll feel the intensity of her love in the bedroom. It is in the most private moments where she prefers to express her most compassionate nature. She is an affectionate lover who prefers intimate exchanges versus the good old romp in the hay. The Cancer Woman is all about the home environment as it serves as the “exterior shell” that she can turn into and feel comfortable. She considers her environment her most sacred and protected space. Remember the Crab is her icon. So, the home serves as her shell, her retreat, and she is more than happy to spend a lot of time in the home where she is free to let down her guard without fear of her vulnerable nature being exploited. She loves to do things in the home environment too. Instead of a movie night out in the theater, she’s more than happy to hit up the Netflix and have an all-night binge of those all-time movie favorites. Instead of hanging out at the mall or a bar, she’s more than happy to cater a party in her house. It is in the home where she can socialize safely with all her friends. Once she gets involved with someone on a romantic level, her love of this comfy home environment only serves to multiply. The “mi casa es tu casa,” attitude reigns the day, and she’ll do what she can to make her partner feel right at home. She’s a masterful homemaker, with an eye for the posh and comfortable. Like a genie in a bottle, she has all the creature comforts surrounding her, and she’ll make sure her shelter is perfectly established to serve her every whim. A nostalgic soul for sure, her home environment will have photos of her family and little mementos from her past that continually bring a smile to her face. The sign of Cancer has rulership over the stomach and breasts, both of which are symbols of the nurturing nature of those born under this Sun sign. This sign also rules digestive processes, so the people that are born under it are prone to issues with weight gain if they do not monitor their diet closely. Highly emotional beings, those born under the influence of this sign suffer from stress and anxiety to a degree greater than most. They are likely to develop medical conditions associated with stress including cardiovascular conditions and gastrointestinal issues. The Cancer female is prone to conditions like gastritis, nausea, bloating, and gallbladder issues. If there’s a lot of anxiety going on and the conditions are right for it, ulcers may develop. The Cancer sign, being one that is highly emotive, needs to be careful that any alcohol drinking doesn’t become a form of self-medicating. It is too easy to turn to when dealing with mood swings and anxiety. Many of the health issues the Cancer female will deal with are based on emotional upset. The Cancer Woman will put in as much love and attention into her career as she does other things in her life; She is one that is attentive and nurturing in every action, and this is true when she is passionate about the career she’s chosen. Early on in her career, it may seem like she’s on a roller coaster ride with the on again off again kind of energy. She might demonstrate a form of flightiness from one job to the next. But, this is simply the period where she is searching for herself and where her heart lies. Once finding the job that fulfills her heart and soul, she becomes one who is not only committed but loyal to the career she’s chosen. The only thing that would have her turn her attention away from her work is if she must decide between work and her family: Rest assured family will win in such an instance every time. Her cooking abilities make her ideal for the role of cook, cater or master chef. However, with her intense emotions, a career in the arts might suit her even better: As a writer, she’d make a phenomenal poet or fiction writer. She might also fare well as a dancer, actor, or as a songwriter and singer, although she’ll have to learn to come out of her shell with greater ease if she’s going to present herself in front of an audience. Her nostalgic self makes her perfect for jobs in the field of archeology and anthropology too. Her natural empathy and need for nurturing put her in the perfect position for being a doctor, particularly a gynecologist or an obstetrician. She’d also make a remarkable interior designer with her ability to empathize with her clients she’ll know how to make their environment homey. Finally, her need for security makes the Cancer Woman one who likes to save money and stick to a budget. She’s no spendthrift and much rather seek out a good deal than waste a dime. If you are to date a Cancer Woman, know she doesn’t care for crowds. Anywhere you recommend for a date needs to be comfortable, cozy and not at all crowded. You can benefit if you invite her to your place to have dinner, but if you do that, make sure your environment is homey, comfortable, and in its right order. You’ll need to demonstrate a caring for the home life like she has if you are going to win her over. When conversing with her, at least at first, never dig too deep as she has a fear of being too vulnerable. Allow her to unfold herself to you naturally without forcing the issue by simply being compassionate and patient. You’ll find the wait worth it in the end. You might find her dusting off her Hummel collection or her prized glass menagerie of animals. You might discover her even cleaning her pewter dragon and wizard set or the elephant knickknacks once belonging to her mother and reminding her of the importance of memory. Since her home is her sacred temple, you’ll also find she loves dedicating time to decorating it and redecorating it whenever it suits her whim. If a Cancer woman experiences or witnesses emotional wrongdoing, it will make her angry. The depth of the wrongdoing will determine her reaction whether it be to retreat or act out. Cancer females are also amazingly private individuals. They don’t care for people who pry or who try to invade their privacy in any way: She will even find telemarketers and survey takers calling on the phone intrusive of her space and time. The Cancer Woman likes things that evoke emotion, and she can be quite nostalgic. You might, therefore, find her scrapbooking and making her most cherished memories into a work of art. To that end, her nostalgic nature makes her one that loves to collect things, particularly things of emotional value. She is not at all fond of financial insecurity as she needs security to feel comfortable in her home life and knows the importance of rainy day savings. She also, despite her own moodiness, is intolerant of moody or negative behavior as she knows how quickly it can drag down her own mood. When the Cancer woman is a mother, she is all-giving, all-loving, and nurturing. Whether she’s a lover or just a friend, she’s one that will “have the back” of the person she naturally wants to protect. She takes all relationships seriously as her motto is “I Feel,” and indeed she does, on a level that only most other Cancer-type people can understand. She’s intuitive so she can pick up on the feelings of others and her ability to empathize is uncanny, making her the ideal friend in every situation. You’ll find the Cancer Woman offers up an undying loyalty to those who are loyal to her. If you need her for any reason, she’s there in a heartbeat. She’s true, a great listener when you need an ear, and she’s there when you need a shoulder to cry on as well. Her great compassion makes her immediate best friend material. If you are a friend of a Cancer woman, you’ll not only have many good times ahead. You’ll often spend time reminiscing about the good times you have had in the past as well. Cancer-type females love nothing more than to take a stroll or two down memory lane. It gives her a euphoric feeling to go over all the fun times they’ve had – they equate the happy nostalgic feeling with loving memories and are delighted to dream about the good ole days from time to time. She also becomes quite attached to old memories and may long for some part of their return. For example, if the big hair moments and Madonna-style dress, once all the rage, reminders hers of some of her happiest times, she may secretly long for the revival of such trends in the present, thereby allowing a small part of her to relive her most nostalgic moments. Taurus is an ideal partner for the emotive Cancer since both will be intensely true to the deep emotions that keep a relationship going. Both signs have the propensity for loyalty. They love of the arts, so a lasting relationship, one that is both practical and steamy in the passion department is most likely between a Cancer and Taurus. Pisces makes for another exceptional partner whereas both get along on an emotional level and are all about bonding with others. Scorpio and Cancer can make a good match too. Scorpio demands loyalty and the Cancer type female has no problem delivering it: Plus, Scorpio’s passion beside Cancer’s loving nature help to balance the relationship in both realms. Of course, a Cancer along with another Cancer makes for an ideal relationship where there will be understanding and acceptance on almost all grounds. Gemini might seem like a good match for the Cancer woman, at least at first. Being a conversationalist, the Gemini can easily talk his way into the Cancer woman’s heart. But his twofold and extreme nature will cause difficulties later … his need to socialize, while the Cancer Woman likes the home front is like to serve as a source for future disagreements and potential jealousy. While Virgo and Cancer also seem a good match initially, both can prove overly emotionally sensitive and critical of the other. Libras strive for balance. Striving for balance is also the mission of the Cancer Woman because she’s a cardinal or “hinge” sign. But, this doesn’t equal compatibility between the two-star signs. Eventually, Libras and Cancers clashes due to Libra’s desire to socialize and be on the happy side of life. The upbeat attitude of Libra can clash harshly with the moodier Cancer female’s emotional responses. If you give her a gift, you’ve given her something she’ll cherish for a lifetime. Works of art, music, something she can pass on as a family heirloom: These things evoke memories for the ever-nostalgic Cancer Woman. You don’t have to spend a fortune to impress her. In fact, the feeling you put behind the item you buy and the method in which is presented is far more important than its monetary value. You can also add to her existing list of collectibles as a Cancer female she’s bound to have one. Gifts that improve the home environment also make an ideal buying choice since the home atmosphere is one where the Cancer woman spends most of her time. The mythological associations with Cancer the Crab have to do with the 12 Labors of Hercules. In the Greek myth wherein, the goddess Hera is furious about an affair Zeus has. She swears revenge for the transgression. Hercules gets the brunt of Hera’s wrath, and in one instance, he ends up on the defensive when a crab chases him to tear off his very toes. Hercules overcomes the monstrous crab by crushing the creature. Hera puts the crab in the sky as a constellation for being loyal to her. The Cancer sign corresponds with The Moon card as well as the Chariot in the Tarot. But, when it comes to the Cancer woman, it can also be associated with The Empress who is famed for her nurturing, loving and highly intuitive nature. The Chariot can stand for the daylight and the Sun working in unison with the Moon to influence humankind. But, the same card can also stand for the black and white extremes in emotion the Cancer type individual might otherwise experience. It’s no surprise the number two corresponds with the Cancer, who finds commitment important, but who also is prone to emotional extremes. The number corresponds to balance, and harmony and these two things are part of the Cancer woman’s life mission. This sign aligns with the sacral chakra which has rulership over creativity, sexuality, and money. Compatibility: Taurus, Pisces, and Scorpio. 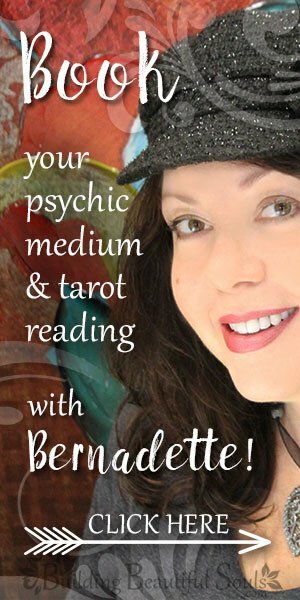 Tarot Card Associations: The Empress, The Moon, and The Chariot. Celebrities: Selena Gomez, Christine Applegate, Robin Roberts, Princess Diana, Angela Jolie, and Sharon Osborne.